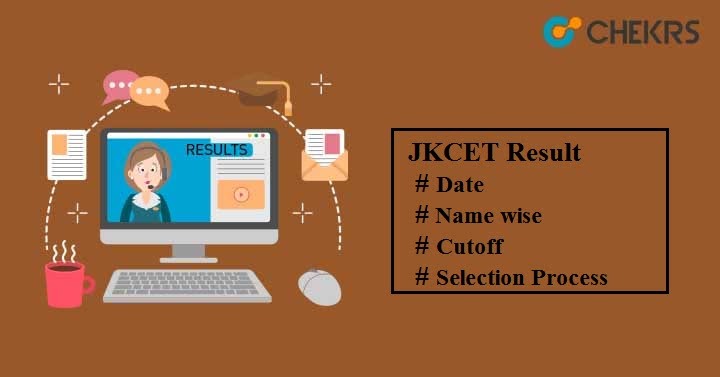 JKCET Result 2019 : Candidates who have appeared in the JKCET exam can check their score and rank, post completion of the exam. Admission will be done on the basis of candidate’s performance in the entrance exam. The examination authority will not send the JKCET Rank Card to your postal address. Results update will be available on the official website or you will be notified by the local newspaper. After the result declaration, further rounds will be conducted for the admission process. Candidates who are in search of JKCET Result Date can check the dates mentioned here. These dates are expected and based on previous year dates. Search for the result link in the Notice Board section present on the home page. Enter you Roll number and Date of Birth and then click on ‘Submit’ button. The JKCET 2019 Result will be displayed on the computer screen in pdf format. In order to clear the entrance exam candidates to need to score the minimum required marks i.e. Cut-off marks. JKCET Cutoff will be based on some of the factors like Difficulty level of paper, Number of candidates appeared in the exam, highest marks obtained, previous year cutoff marks etc. The minimum qualifying marks in the JKCET exam will be 50%. Candidates scoring more than or equal to 50% will be considered as qualified candidates and their name & rank will be listed in the Merit List or we can say, Rank List. Candidates who qualify the entrance test will be allocated their desired seat through JKCET Seat Allotment process. JKBOPEE will release the notice for counselling round on its official website. Candidates need to register for the counselling process and fill the option form to choose the colleges & courses of their choice. Based on the candidate’s merit rank and their college & course preferences seat will be allocated. After that students will have to report to the allotted college along with all necessary documents for verification.